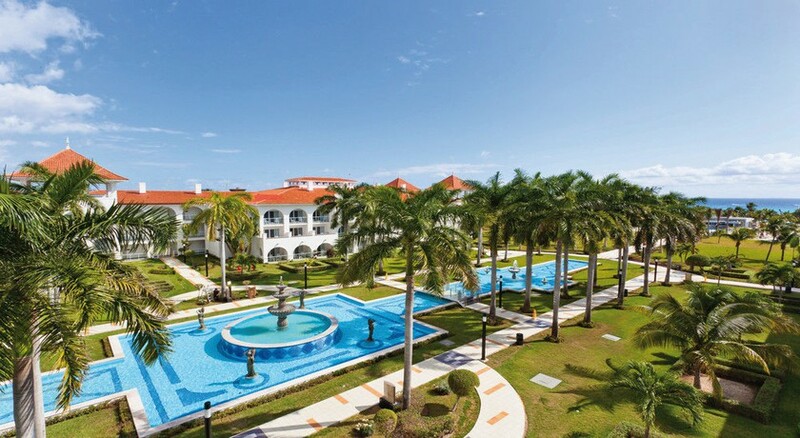 In a beachfront area only 3km from Playa del Carmen, Mexico, the exquisite Hotel Riu Palace Mexico (24h All-Inclusive) is holistically constructed in accordance with the customary style of Mexican architecture. The unmatched hospitality makes it the ideal place to unwind yourself in the most natural environment. The hotel incorporates two fresh water swimming pools, encompassed by a vast park, a Jacuzzi, a solarium-terrace, a gym and the wellness centre with a range of treatments and massages. The hotel is situated in a mutual complex with the Hotel Riu Palace Riviera Maya, Hotel Riu Yucatan, Hotel Riu Playacar and the ClubHotel Riu Tequila so you can discover various leisure activities, for example, table tennis, a recreation centre, volleyball, golf and water sports like windsurfing, sailboat, kayaking, body boarding, swimming and much more. 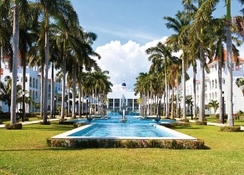 The hotel is located on the white sand beach of Playacar. The Cancun Airport is 61km from the hotel. 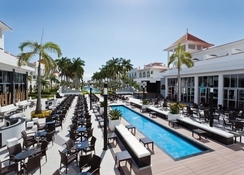 The resort centre of Playa Del Carmen is 3km from the hotel, with 5th Avenue’s shops, bars and restaurants providing you with a range of entertainment and shopping facilities. 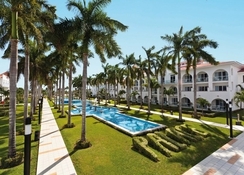 Rooms at the Hotel Riu Palace Mexico offer a host of amenities such as a hydromassage bathtub, Wi-Fi, satellite TV, air-conditioning, a minibar and a beverage dispenser. You can choose between Jr. Suite, Suite Jacuzzi, Jr. Suite Superior and Suites. Depending on your room type, you can avail additional facilities like a balcony or terrace for enjoying the hotel surroundings. The hotel organizes live cooking shows in its main restaurant, and also for its different themed restaurants – Japanese, Mexican and Italian, Krystal Fusion restaurants and Steakhouse. 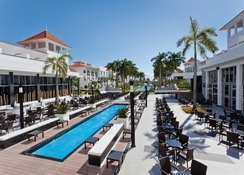 The hotel also houses five bars serving signature cocktails and non-alcoholic beverages. The hotel provides lively shows and entertainment programmes. The La Piñata club is a disco where you can dance the night away. Enjoy live music every evening with your favourite drink. Let your children take part in the amazing Riu Land entertainment programme and indulge in crafts and activities with other children. 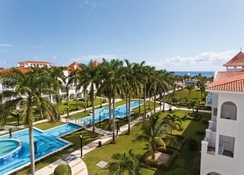 You can also enjoy a variety of activities like table tennis, a gym, volleyball and golf. You can also enjoy water sports like windsurfing, catamaran, kayaking, bodyboarding and snorkelling. You could also relax at the Renova Spa where different types of massages, facial treatments, wraps and other treatments are available.